When you hear the name, the first thought that strikes you is that it is a misspelled version of Sherlock Holmes. Shrilok Homeless is the Indian version of Sherlock Holmes, and it is written by Pika Nani, the author of the book ‘Little Indians stories from across the country’. 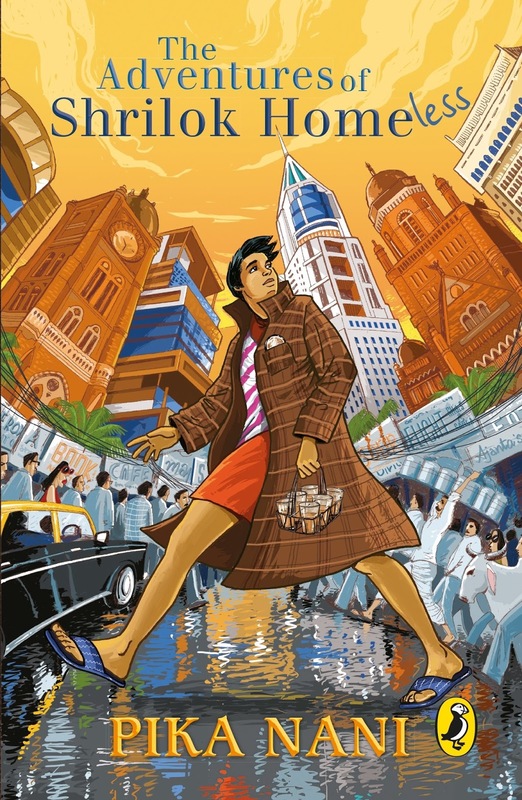 This story is set in the metropolitan city of Mumbai. Shrilok, like Sherlock Holmes uses his sharp observation skills and his clever brain to solve the different mysteries put across to him. Shrilok and Sherlock have many similarities, except that Shrilok’s habits are more suited to an Indian setting. Before I start, I want to share some information on the similarity between Sherlock and Shrilok. I went for the launch of the book, and the book sounded inviting, but it wasn’t as good as it seemed. In the points mentioned above, I want to talk about the third point. It says that an 8-year-old girl named Pari was the only one who could outwit Shrilok. When I read the stories, and reached the one in which Pari is introduced, I was eager to know how she outwits Shrilok. When I read the story, I found that she does not outwit him at all! She just embarrasses him by deleting a photo from her phone which Shrilok and Rohan were supposed to do. In the first story, Rohan explains the reason behind his surname by saying, 'Doctor is my surname. 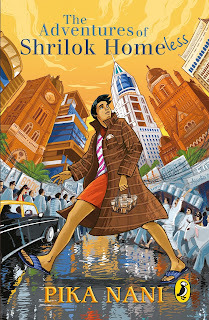 It is common among Parsis to have the surname based on the family profession.’ A page or two later, Shrilok is asking Rohan to inform his parents that Rohan will be joining him for the mystery, as they are real doctors, and Rohan is left surprised. This was a little silly as he had already mentioned that Parsi surnames are based on the profession, and therefore it is most likely that the parents’ profession would be that of a doctor. I found the stories too confusing and when you pieced together the information in some stories you might find that it is not mentioned in the story until the end when Shrilok explains how he caught the thief. This is more relevant in the third story, 'The Rose Diamond’. Pika Nani, like Sir Arthur Conan Doyle, has killed Shrilok at the end and then brought him back to life. I read the both the stories and it did not give the same effect that is there in Sir Arthur Conan Doyle’s story. It was not very convincing that Shrilok had truly died, and when the explanation was given, it did not sound very genuine. Her names of the stories were clever, like one of them was named after ‘the Hounds of Baskerville’, except it said, ‘The Dogs of Bhaskarville’. These are some of the reasons why I did not like the book. Maybe after reading the excellent work of Sir Arthur Conan Doyle, her work was not up to the level. It could either be that or that it wasn’t for my age group. This is my view on the book. Yours could be different, so read 'The Adventures of Shrilok Homeless’ by Pika Nani to find out.